Back in April 2014, Lucasfilm rebooted the Star Wars Expanded Universe, the hundreds of tie-in novels, comics, and games, in order to make way for the Sequel Trilogy. Lucasfilm declared that all tie-in stories from that point on would officially count as canon. Lucasfilm set up a Story Group to oversee the overall Star Wars story and make sure everything fits together. Although the most core of the Star Wars story is contained in the movies and animated TV shows, the tie-in materials do occasionally provide important insights. However, keeping up with them can become a fulltime job. In just the past three years, there have been 14 Star Wars novels (not counting the junior novels), in addition to dozens of comics and a handful of games. So, for this May 4th, I’ve provided a handy guide to the new canon novels, which books are worth reading and which aren’t. Before addressing each book individually, I thought it would be helpful to look at the state of the tie-in books more generally. So far, it’s been a mixed bag. The highs aren’t as high as the pre-Disney Expanded Universe novels, but the lows aren’t as low. We’ve certainly seen nothing as excellent as the original Heir to the Empire trilogy, which would have been a compelling space opera even if it had nothing to do with Star Wars. On the other hand, the new books haven’t relied excessively on the superweapon of the week trope the way the 1990s EU did. I’ve noticed a few trends with the new canon books. First, nothing significant happens. With a few exceptions, the books cover relatively minor incidents that have little impact on the state of the Galaxy. Disney seems to be saving the big events for the movies and, to a lesser extent, the animated TV shows. This means that, for the most part, you don’t have to read all of the books in order to understand the larger Star Wars story. Second, the books tend to prioritize character over plot. Because nothing significant happens in the books, the books focus on either providing background on existing characters or introducing new characters. The better books work as character studies, letting us see how the character thinks or responds to adversity. The weaker books string the character along a sequence of bland events. Several of these books would probably have worked betters as short stories than full-fledged novels. Finally, the books are more interconnected than the old Expanded Universe ever was. One of the reasons Lucasfilm rebooted the Star Wars timeline was because it suffered from internal contradictions and plot holes. Thanks to the Story Group, the new books reference events and characters in other books. Several of the books set up a mystery (as yet unresolved) about a Dark Force in the Unknown Regions. This all helps make the Galaxy feel more alive than the previous EU. I grouped the books into four categories. “Essential reads” are books that provide important information about the Star Wars universe and are fun books on their own merits. By contrast, “fun reads” are books that are enjoyable but not particularly important when it comes to Star Wars lore. “Background only” books aren’t particularly engaging as stories, but do provide important information. Finally, “avoid” books don’t work as stories and/or the information they provide about Star Wars isn’t worth slogging through the terrible writing. This is easily one of the best books in the new canon, especially for fans of The Clone Wars animated show. 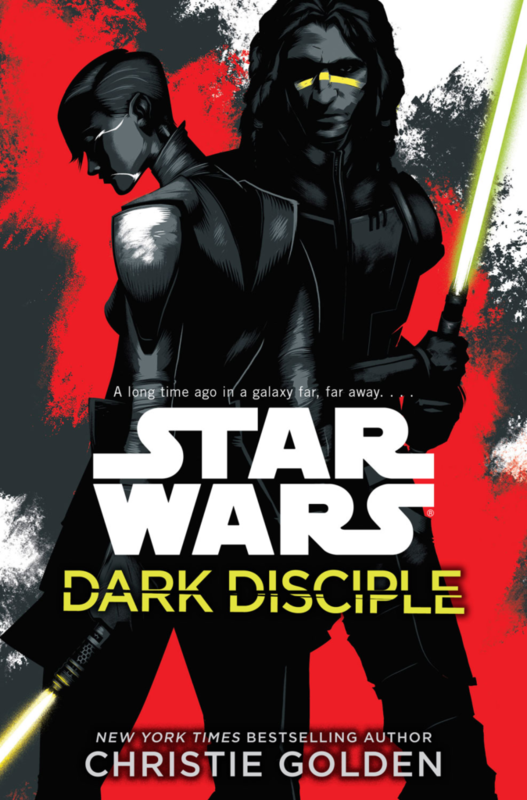 The book pairs Quinlan Vos and Asajj Ventress together on a mission to kill Count Dooku. They work incredibly well together and both characters have compelling character arcs. The book also ties up a few loose ends from the show (it was based on unproduced scripts written by George Lucas’ daughter). This book is essentially a character study of Leia while she’s serving as a senator in the New Republic (set about 25 years after Return of the Jedi). The book is a political thriller, but don’t let that scare you. Author Claudia Gray manages to make the politics interesting by focusing on the characters. The book shows why Leia became disillusioned with the Republic, and also provides hints about the rise of the First Order. Recommended for fans of Leia or anybody who wants to learn more about the state of the galaxy before The Force Awakens. I quite liked Rogue One and enjoyed learning more about the characters through this prequel book. Catalyst focuses on Orson Krennic, Galen Erso, and his wife Lyra. In the film, those characters served as foils for the main characters, but this book helps flesh them out. Most of the information in the book probably could be inferred from the movie, so it’s not quite “essential” reading, but it does contain some interesting insights into those characters. 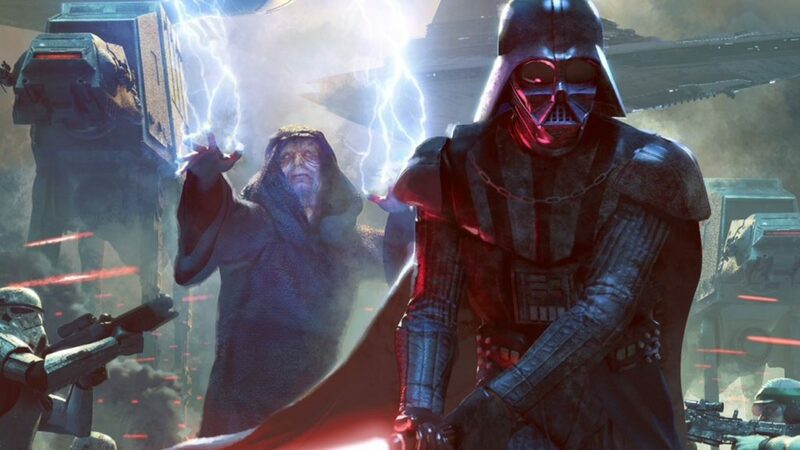 This is just an excuse for Palpatine and Darth Vader to wreak some havoc against a Rebel cell on the planet Ryloth. You won’t learn anything new about the state of the Galaxy, but it’s a fun romp, well written, with some surprisingly meaningful character moments. Lost Stars is essentially “Romeo and Juliet” in Star Wars, but works surprisingly well. Although it’s marketed as a “young adult” novel, I never felt like author Claudia Gray dumbed the story down. This seems to be the fan consensus pick for best new Star Wars novel. A New Dawn serves as a prequel to the Rebels animated show, telling the story of how Hera and Kanan met. During the first season of the show, I might have considered this an “essential read,” but I don’t think the show has really done anything interesting with the Hera-Kanan relationship during the past two seasons. 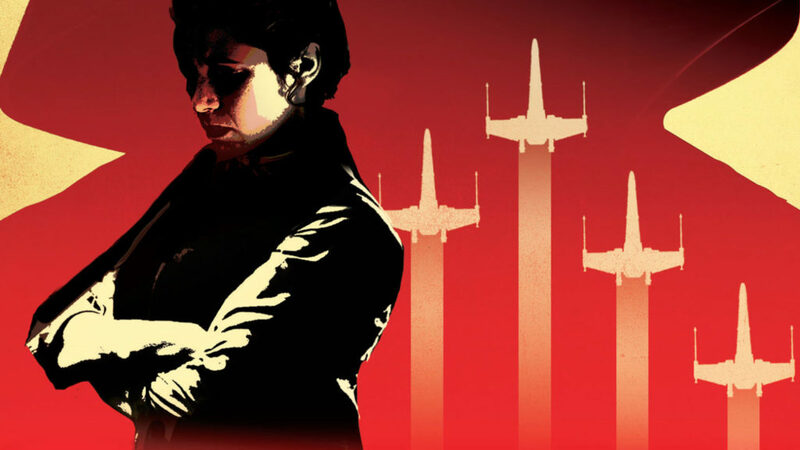 It’s not a bad read, but really only recommended if you love Rebels. Ahsoka takes place in between Revenge of the Sith and Rebels, showing how Ahsoka copes with the aftermath of Order 66. Unfortunately, as much as I loved Ahsoka in The Clone Wars, this book is pretty forgettable. We learn a few things about Ahsoka, such as how she got her white lightsabers, but Ahsoka’s time on the planet Thabeska seems like one of the less interesting moments in her life. It doesn’t help that the book references other adventures from Ahsoka’s past that sound much more exciting. This book showcases a younger Grand Moff Tarkin. It has some decent character moments for Tarkin, but again the plot is pretty forgettable. Tarkin hunts down a group of Rebels who never come across as worthy adversaries (I can’t even remember their names). This book is written by Timothy Zahn, who wrote the Heir to the Empire trilogy, which introduced the character of Grand Admiral Thrawn during the early 1990s. As such, I had high hopes for this book. Unfortunately, like the previous two books on this list, Thrawn seems like a glorified excuse to spend time with the character. Thrawn spends his time hunting down a drug smuggler and smalltime Rebel. It also does a few things that diminish the character (full review here). I found the book more interesting because it provides a template for how Star Wars will attempt to reincorporate characters and concepts from the old EU into the new canon. This book is set in between A New Hope and The Empire Strikes Back and focuses on Luke Skywalker. It’s written from a first-person point of view, which isn’t as off-putting as it sounds. We do see Luke’s first use of telekinesis, which is fun, but otherwise we don’t learn much about Luke or the state of the Star Wars Galaxy. Moreover, there’s a romantic subplot that seems at odds with what we know of Luke from the movies. Much has been written about Chuck Wendig’s horrible writing style, including the use of present-tense. What’s even more egregious is that the books just aren’t interesting or entertaining. The marketing for the trilogy claimed that it tells the story of what happened after Return of the Jedi, but it only does so tangentially through interludes not connected to the primary story. The majority of the books focus on a small band of Rebels who are trying to hunt down the Imperial leadership. Yes, the books do provide information about the state of the Galaxy in the years immediately after the Battle of Endor, but none of that backstory is necessary for understanding The Force Awakens. Some of it is just outright disappointing. The New Republic’s final victory over the Empire at the Battle of Jakku feels like a cheap reset button, an attempt to get rid of the Empire and clear the way for the First Order. Avoid at all costs. Hopefully, this guide will be useful for Star Wars fans who have felt intimidated by the sheer size and complexity of the Star Wars saga. There are a lot of tie-in novels, but you don’t have to read all of them to enjoy Star Wars or follow the story. Dom Nardi is a Contributing Writer at Legendarium Media. He has worked as a political scientist and as a consultant throughout Southeast Asia. In addition, he has published articles about politics in Star Wars and Lord of the Rings. You can find more of his writing at NardiViews.